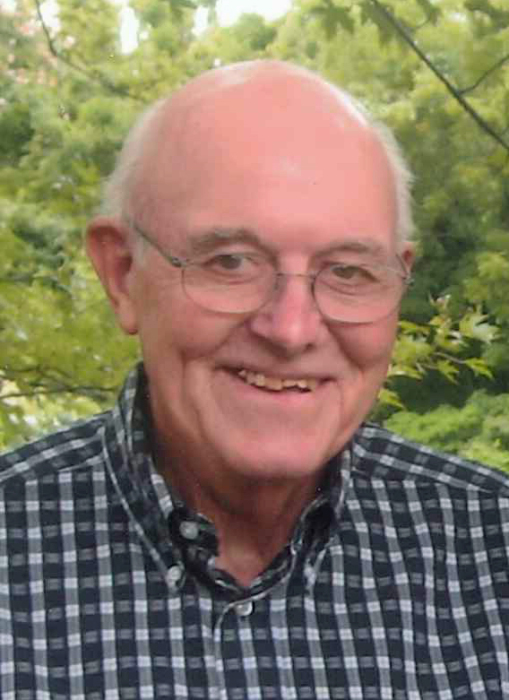 Bernard W. Von Hatten, age 84 of Carlyle passed away at his home on Saturday, September 29, 2018. Mr. Von Hatten was born on October 16, 1933, in St. Rose, Illinois, a son of the late Bernard and Louisa (Woltering) Von Hatten. He married Alice Peppenhorst in Beaver Prairie on September 28, 1963, and she survives in Carlyle. In addition to his wife Alice, Mr. Von Hatten is also survived by his children – Karen Werkmeister and husband Rich of Ballwin, Missouri, Joann Kleiboeker and husband William, Jr. of Hoffman, Steve Von Hatten and wife Brenda of Carlyle, Laura Gall and husband Carl of St. Rose, and Lisa Strieker and husband Roger of Aviston; 13 grandchildren and 3 great grandchildren; 2 sisters – Bernice Rueter and Marcella Grapperhaus, both of Breese; and his in-laws – Lester Peppenhorst and wife Mildred of Beaver Prairie, Marilyn Klutho and husband Harold of Beckemeyer, Jane Rakers of Carlyle, Judy Revermann and husband Sylvester of Huey, and Larry Peppenhorst and wife Sharon of Carlyle. Ben was preceded in death by his parents; his father-and mother-in-law – Cleo and Regina Peppenhorst; a sister and brother-in-law – Mary Ann Borgelt and husband Ted; brothers and sisters-in-law – Wilbert Von Hatten and wife Joetta, Elmer Von Hatten and wife Margaret, Adolph Von Hatten and wife Catherine, and Urban Von Hatten and wife Gladys; and brothers-in-law – Orville Rueter, Bernard Grapperhaus, Don Kauling, and Bob Rakers. Mr. Von Hatten was a self-employed farmer and worked in the maintenance department for the U.S. Army Corps of Engineers for 29 years. He was a member of St. Teresa’s Church in Marydale, the Knights of Columbus Council 1382, Carlyle, and the Clinton County Farm Bureau. Ben served in the United States Army in Germany, and he enjoyed gardening and woodworking and loved spending time with his family. A Funeral Mass of Christian Burial will be celebrated at 10:00 A.M. on Wednesday, October 3, 2018, at St. Teresa’s Church – Marydale. Interment will follow at St. Mary’s Cemetery in Carlyle. Visitation will be held at Zieren Funeral Home in Carlyle on Tuesday, October 2, 2018, from 4:00 – 8:00 P.M. and on Wednesday morning from 8:00 – 9:30 A.M. The Knights of Columbus will pray the rosary in memory of Mr. Von Hatten at 7:00 PM on Tuesday evening at St. Mary's Church. Expressions of sympathy in memory of Mr. Von Hatten are suggested to St. Teresa’s Church Building Fund, Mater Dei High School, or to the charity of the donor’s choice and will be received at Zieren Funeral Home.